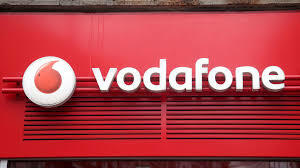 As noted, Vodafone has revised the Rs 209 and Rs 479 prepaid plans to offer 1.6GB data every day. Earlier, the same plans used to provide 1.5GB data per day, so a 100MB more data benefit has been added to the table now. Vodafone did not revise the Rs 529 prepaid plan which still offers 1.5GB data per day for 90 days. This is because the telco is still providing 1.4GB data per day with the Rs 509 plan. Once the Rs 509 plan becomes part of the 1.5GB daily data family, the Rs 529 will likely provide 1.6GB daily data. Besides the data benefit, the Rs 209 and Rs 479 prepaid also ship with unlimited voice calling without any FUP limit, 100 SMS per day and Vodafone Play subscription for 28 days and 84 days respectively. Vodafone’s Rs 199 and Rs 459 prepaid plans now ship with 1.5GB data per day which is the reason why the telco upgraded the data benefit on Rs 209 and Rs 479 plans.